Thank you for making an online contribution to ESF. Please fill out the following form completely, starting with specifying your donation. The submission of your personal information is fully encrypted for security. If you encounter any problems submitting this form, please contact ESF Information Systems at infosys@esf.edu. You have designated the American Chestnut Fund. If you would like to choose a different fund, click here . If you or your spouse work for a matching gift company, please contact the Development Office at (315) 470-6683 or gifts@esf.edu. If this gift is in memory or honor of someone, please let us know here. SUNY-ESF does NOT store your credit card information. We receive your transaction data through a secure connection and then pass it securely to Authorize.Net, a credit card payment gateway. The payment gateway receives and processes the transaction data, and then generates a response to SUNY-ESF. 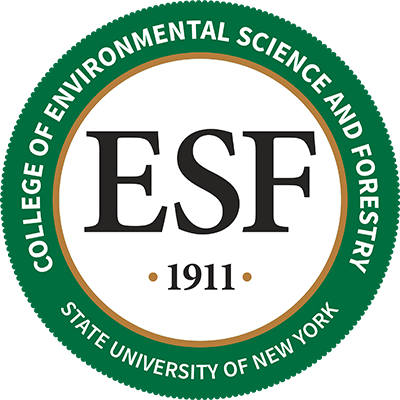 SUNY-ESF receives and processes the response, and communicates the success or failure of the authorization securely to your Browser. Web Accessibility  ESF is committed to the accessibilty of all online materials. If you have any issues, contact web@esf.edu for a prompt solution.